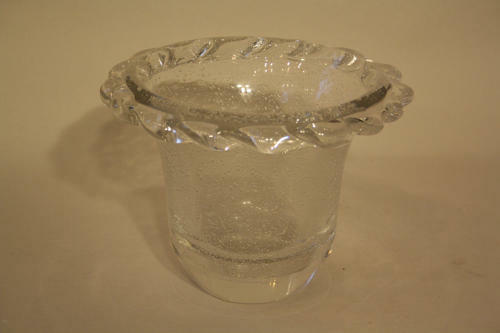 An elegant bubble detail crystal glass vase with crinkle edge. Signed Daum, France. c1950.